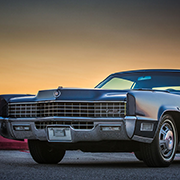 Mostkost Kustom #3 | Geralds 1958 Cadillac Eldorado Seville, 1967 Cadillac Deville,1967 Cadillac Eldorado, 1971 Lincoln Continental Mark III and 1978 Cadillac Eldorado Biarritz. Due to a lot of work going on in my job, I missed most of the car shows I wanted to attend during the last weeks and also did not find the time to drive my cars a lot. Today my wife and I finally visited a nice small meeting which is held only 40 kilometers from our home. Its a small gathering of US-Car enthusiasts. One of the organizers is collecting and building great Ratrods which he is always showing there. Its a very nice and relaxed atmosphere with nice cars and great people. Looking forward to the next edition. We took the 58 to the show. My wife shot lots of great images which are available in this gallery. Some black and white images will also be added soon - they first have to be scanned and prepared for the web. I also did some filming which still needs to be edited, but should follow soon as well. 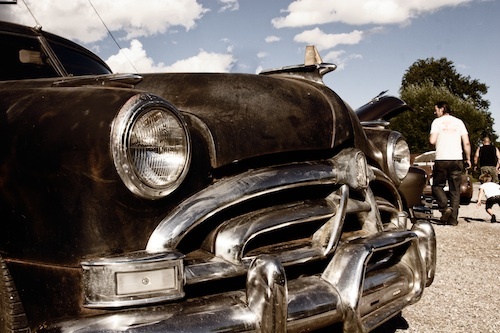 A great ,all original Hudson Hornet. More pictures can be found in the gallery!